Float around in sheer elegance that this ethnic day-wear option from Snehal Creation offers you. The kurta is well tailored in a self textured black cotton fabric. The style of the kurta is enhanced by the rectangular embroidery short panels arranged vertically at the epaulets. The ban collar is complemented with a buttoned neck panel with magenta taping. 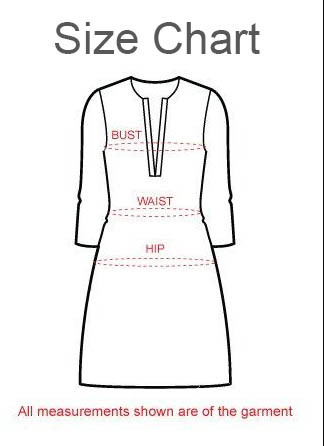 The three-fourth sleeves of the kurta are also well adored with magenta taping. Write a happy day story with this fabulous tunic option. Love it, wear it.